Toyota Nation Forum : Toyota Car and Truck Forums > Toyota Nation Forums > Audio, Video, and Security - Tech > I Added birds-eye / surround view / 360° view to my Sequoia! I Added birds-eye / surround view / 360° view to my Sequoia! I am not affiliated with any manufacturer/supplier of any products. I am just so impressed with the results, I thought I'd share my experience for anyone considering this DIY project. (to allow the video out of the surround system to be injected into the Toyota radio). This is the surround view unit I installed. You cannot use the factory rear-view camera, but the one the comes with this kit is the same size and will easily replace the stock camera. Mounting was a challenge since the pattern isn't the same, but some double-stick tape and black caulk has it looking and operating just like stock. 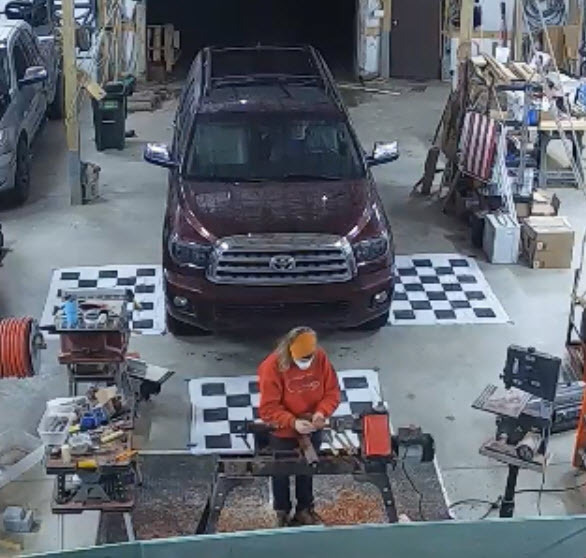 And without any cutting/trimming, it could easily be removed to reinstall the factory camera at a later date. 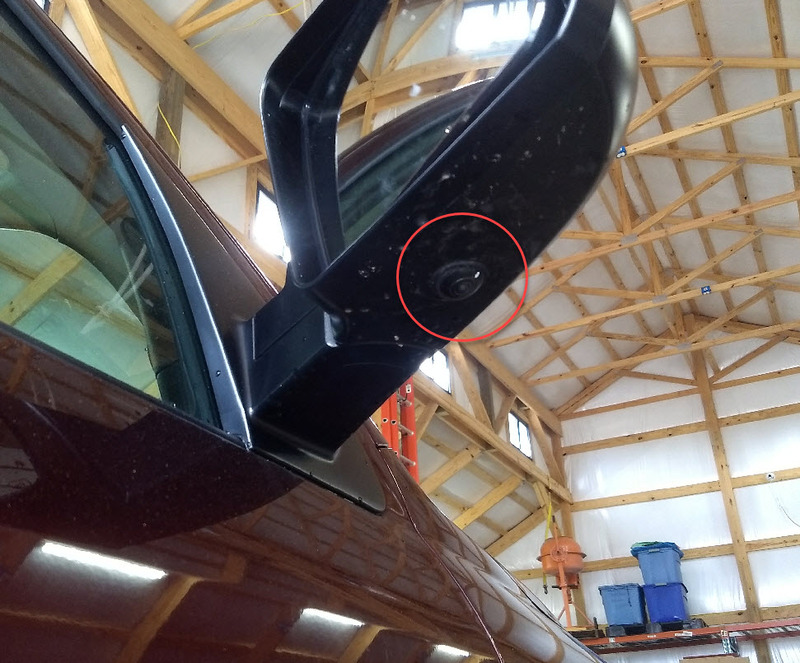 The side cameras are installed in the side mirrors. This does require a hole to be drilled on the underside of the mirror housing. 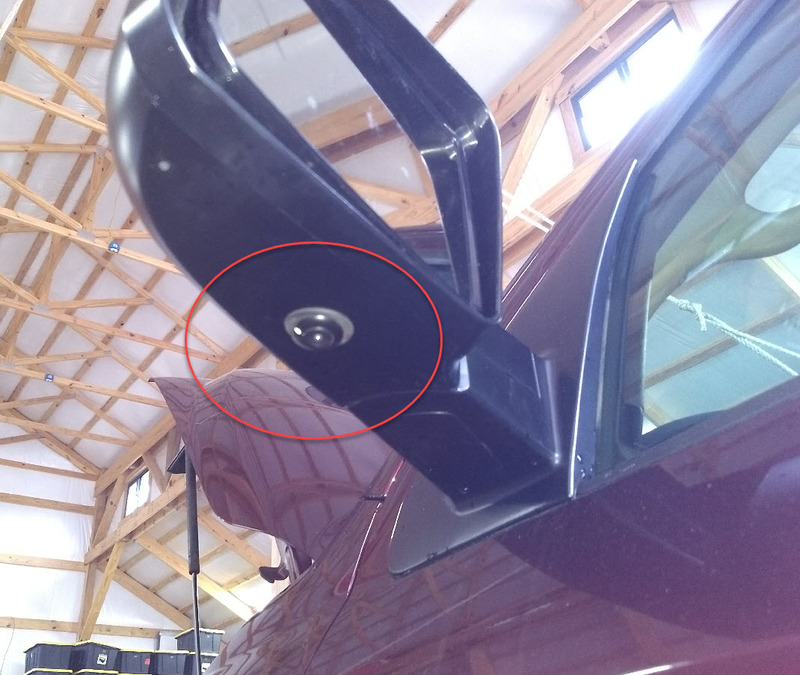 Removal of the mirror from the door is required to get access to the wire chase for a clean install. 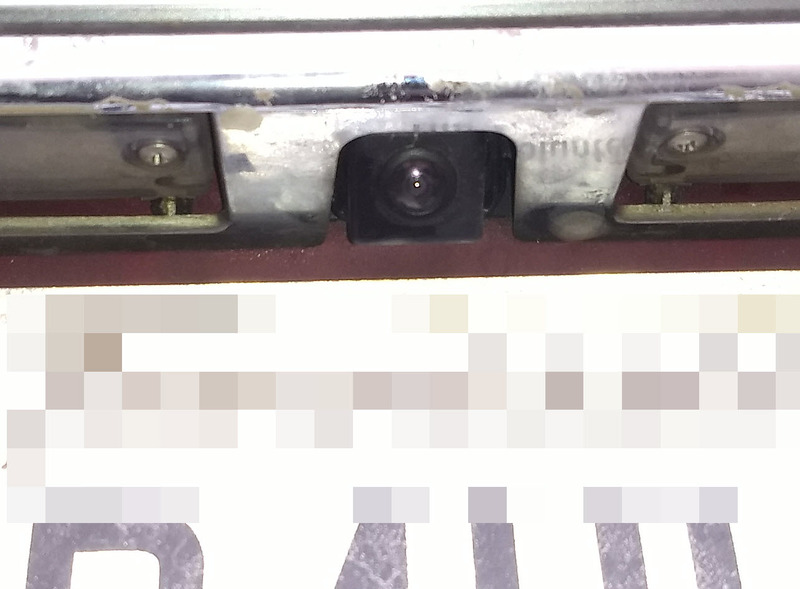 The front camera can be mounted either in the grill or on the bumper (which is what I did). The cables are long enough to reach under the passenger seat from all four locations. The reverse signal can be obtained from the two-wire harness pin (green) that plugs into the stock radio. Run that, constant 12v, acc, a coax/rca cable, and a separate trigger (to signal radio to switch to reverse input signal) to the passenger seat location. Once all is assembled, cameras are calibrated using provided grid panels. All in all, it took me about 5 hours (over the course of two days) to get it properly installed. It could be done quicker, but I was particular about leaving no evidence of the install. It required no splicing, cutting, or trimming (other than the hole in the mirror housing), so reversal is possible. I got the impetus to install this after getting spoiled by the factory surround view on the wife's 2018 Highlander Platinum. The system I installed is considerably better (IMHO) because it offers configuration ability, and it has a built-in DVR that records all 4 video channels any time the engine is on. FWIW, this did require removing the interior panels of both driver and passenger door, as well as the panel for the hatchback lid. Not particularly difficult, but it is time-consuming. Probably the most challenging part was fishing the cables through the factory rubber boot that waterproofs the cabling between the doors and the door jamb. Pushing through the passenger-side firewall under the hood was a snap (there is an extra nub that can be snipped to allow straight, unobstructed access to the passenger footwell area. Last edited by erkme73; 12-16-2018 at 10:28 AM. This looks interesting, I just may add this to my Camry Mod list! IF the Camry side view mirrors have space to mount up the camera. Do you have the dimensions of those side view cams? I need to know the depth that needs to recess into the mirror stalk. I would have to pop the mirror glass off to measure the hole/threaded part of the camera - which I can do in a bit. But, I'd say the hole drilled is no more than 3/4" in diameter. The internal part sticks up no more than 1.5". Tundra/Sequoia mirrors are huge compared to a Camry, so I can appreciate your concern. It might be worth asking if anyone at Amazon has installed it in a Camry. Thanks. I would think I don't have 1.5" of free space in those mirrors, and it seems they are pretty sealed up. My 4Runner looks like it would have ample room anywhere along the mirror. I suppose I could MacGyver an external housing and see if I could just fish the wire into the mirror assembly. 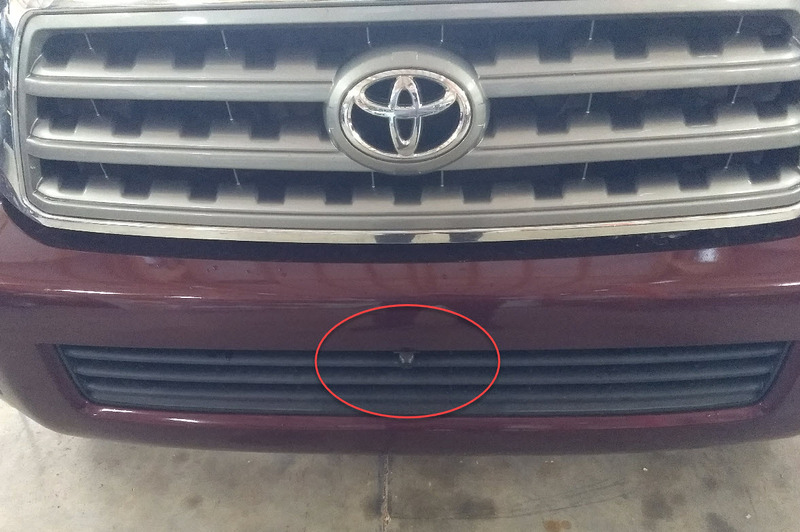 I never have a Camry (2006+) in any local pull it yard to be able to grab a mirror to do a destructive test Maybe I need to hit eBay and look for one off a wreck.